Congratulations to Michael Guzman for being selected to the NJ ODP State Team for the 2004 Age Group. Michael will represent New Jersey in the Region One USYS ODP Program for 2017. 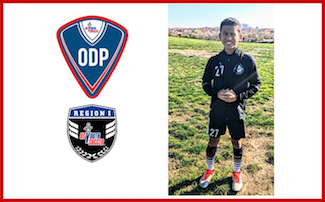 We wish Michael the best of luck in the upcoming ODP Competition Schedule for 2017 which will include his participation in the Region One Camp held every year for all the age groups. Michael is a member of the NJ Stallions 04 Galactics EDP team coached by Marcelo Fracchia, Boys Director of Coaching.